Los Cabos is Mexico’s premier destination for tourism. In fact, in 2017 the town saw a 29% jump in tourists than the previous year and 36% more international visitors. 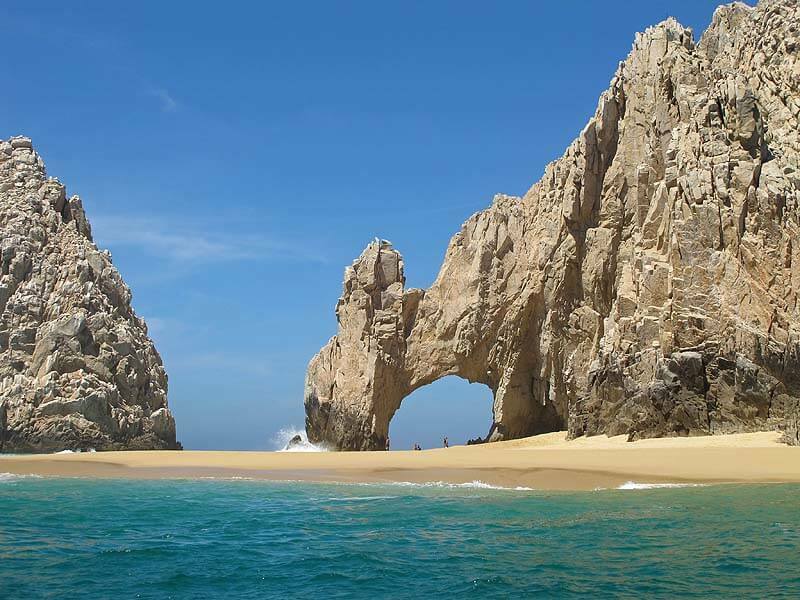 There are many reasons to visit Los Cabos and one of them is the Cabo San Lucas Beaches. Read on for the top must-see Cabo beaches. Learn which ones have the best swimming, vistas, and snorkeling. Grab your sunscreen and let’s go! The Santa Maria beach is one of the best beaches in Los Cabos. It’s shaped like a horseshoe and offers you excellent snorkeling, swimming and an up-close look at tons of tropical marine species. Stretch out on the pink-tinted sand and soak in the incredible views. Visitors enjoy the larger rice-sized grains of sand that doesn’t scratch the way fine, white sand does. Note that Santa Maria is a marine sanctuary. Fishing is not allowed at this beach and neither is taking anything home with you (including seashells). Find Santa Maria at KM 11.5 off the main highway. Can you swim in the ocean in Cabo is one of the most frequently asked questions by tourists. Medano beach is the safest of all Cabo beaches. The tranquil water is perfect for swimmers of all abilities. Food lovers will enjoy the various restaurants and bars right there on the beach. There’s even more to explore on the side streets just a few minutes walk from the beach. Rent a water taxi to get to the marina or participate in various water activities and sports. This is a very popular spot in Cabo so get there early and enjoy your day. You can’t talk about Los Cabos beaches without mentioning Lover’s Beach. It’s a famous beach that appears in many photographs and as soon as you arrive you’ll see why. You’ll find this spot on the Sea of Cortez side of Land’s End. You can only get to it by water taxi which makes it that much more enticing and romantic. Hop in a water taxi from the marina or from Medano Beach. You can expect to pay around $20 to get there and back. Bring your snorkeling gear and underwater camera to capture some amazing shots of marine life just a small swim into the water. Pack a lunch and then buy a cold drink from one of the local beach vendors. You’ll have a fantastic day at Lover’s Beach. This spot is great for divers, snorkelers and swimmers alike. You can rent gear here and enjoy exploring the various reefs that host abundant marine life. It’s common to see sea turtles at this beach so bring your camera! If you take a dive, you may spot some of the many creatures that live deep in the ocean such as zooplankton. Motorized boats are not allowed on this beach which is nice for those who want to enjoy the quiet on the water and on the sand. The showers and restrooms on site make this a great beach option for families with kids. Also, there is a nice palm area that provides shade when the sun is high. There are lots of visitors on the weekend so if you prefer a low key visit to the beach, plan to visit during the week or during the morning. Plus, it’s better for swimming and snorkeling at those times anyway. 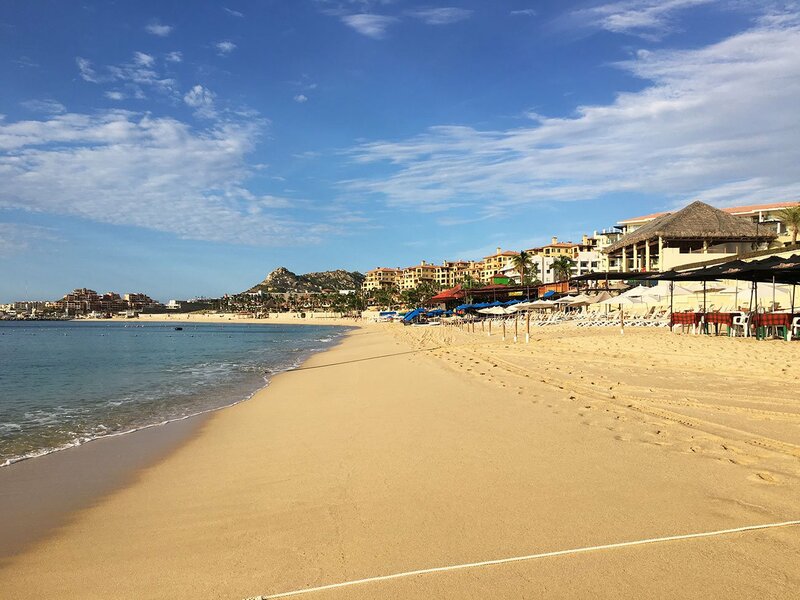 This beach, on the Pacific side of Los Cabos, is a non-swimming beach that is an excellent choice for those who want to relax off the beaten path. It’s near the iconic Cabo rock formations at Land’s End. Playa Solmar is next to the Finisterra Hotel and offers a semi-private access to the beach. Vendors can’t access this spot so if you just want to be left alone to soak in the sun, choose Playa Solmar. Swimming is prohibited due to strong currents and big waves. But there’s a gorgeous vista and lots of gentle sand to stretch out on. The proper name for this beach is Playa Bledito but it’s best known as Tequila Cove. It’s one of the best beaches in Los Cabos for swimming and water sports thanks to a constructed breakwater. Go ahead and rent a jet ski and tour the cove on the water, then soak in the sunshine on the sandy beach. The easiest way to get to Tequila Cove is from KM 19.5 through the Hilton hotel. Playa Empacadora is a beach near the Marina in Cabo San Lucas that is often overlooked by Los Cabos visitors. You can find Playa Empacadora next to the rock formations leading to Lover’s Beach and Land’s End. There are also a number of smaller beaches along the rocks called playitas that need to walk or swim too. You might get lucky and have one whole tiny beach to yourself! During high tide, some of these mini beaches may be underwater. Plan your trip accordingly. There aren’t any beach vendors on Playa Empacadora but it is a popular place for the locals to go hang out. Pack a lunch and bring enough drinks and you’ll enjoy yourself. Playa Empacadora is a great spot to visit if you want something private and different. 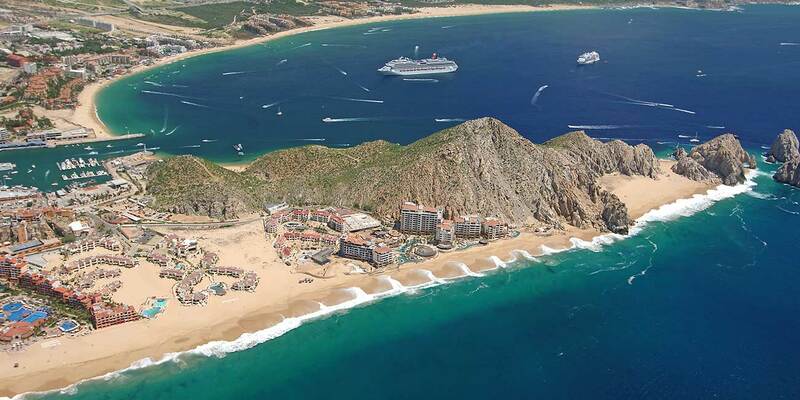 We hope you found this list of Los Cabos beaches helpful as you plan your trip to Cabo. So many beaches, so little time! Check out the various San Jose Del Cabo Communities if you are interested in a beachfront home where you can walk to the beach. Next Article When is the Best Time to Visit Cabo San Lucas?